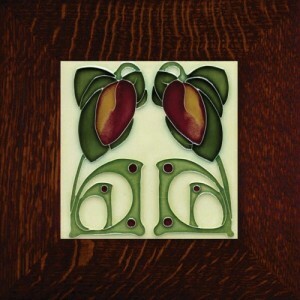 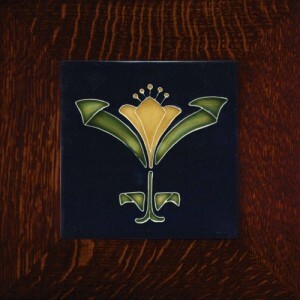 These beautiful Porteous tiles are handmade in New Zealand and have design influences from the English Arts & Crafts Movement. 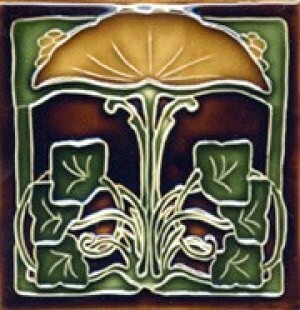 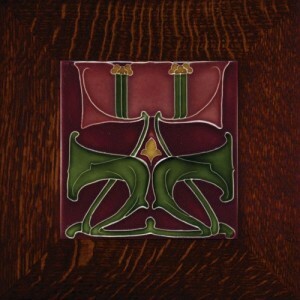 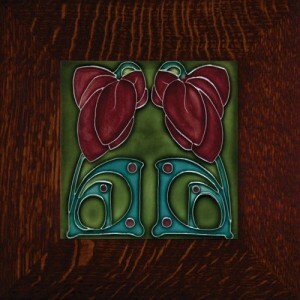 Tiles are 6 inches square with a glossy glaze. 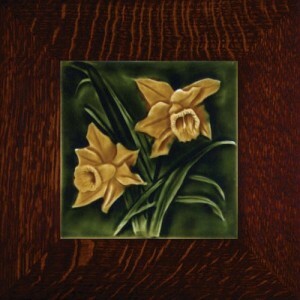 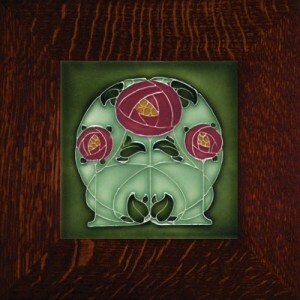 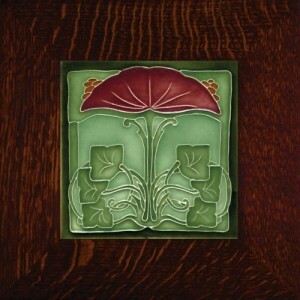 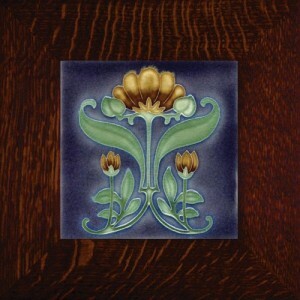 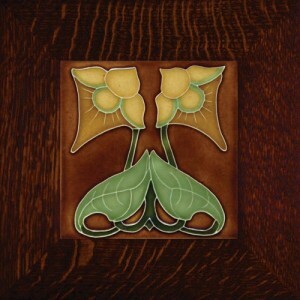 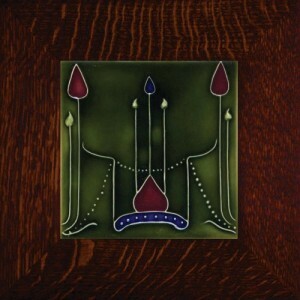 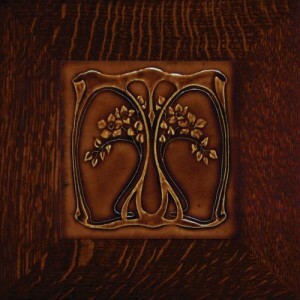 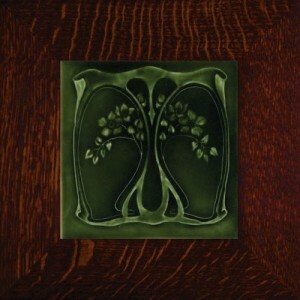 Tile shown is framed in our 2 inch wide Oak Park frame, hand selected from quartersawn white oak and hand finished. 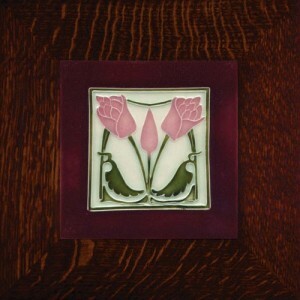 Also available in our Legacy frame. 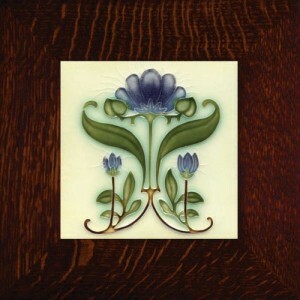 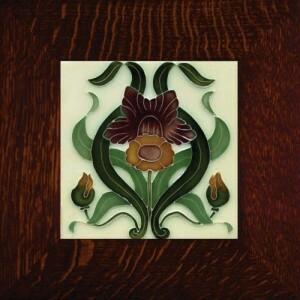 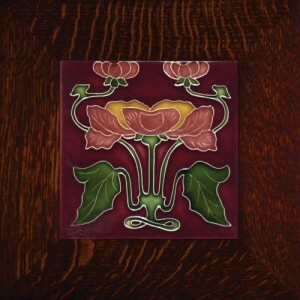 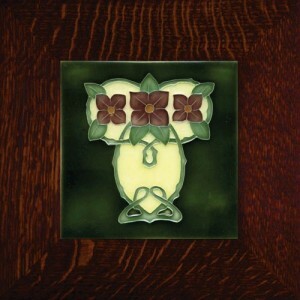 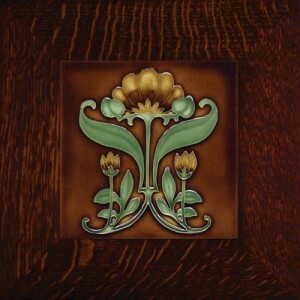 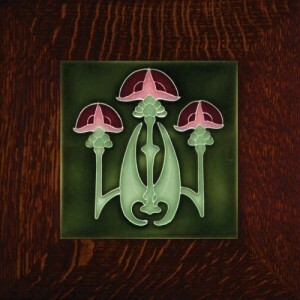 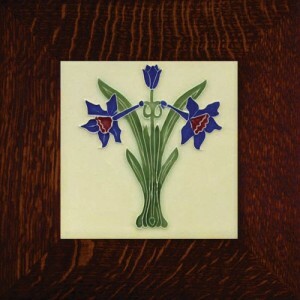 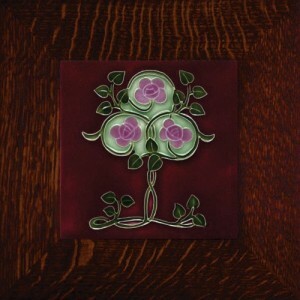 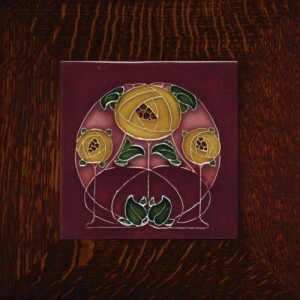 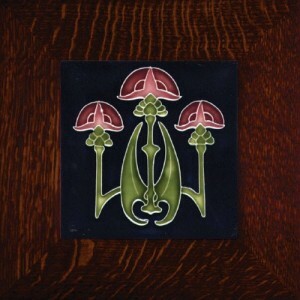 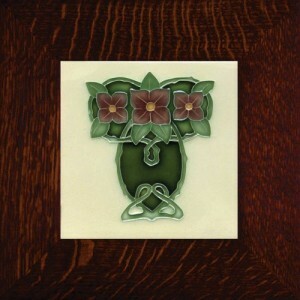 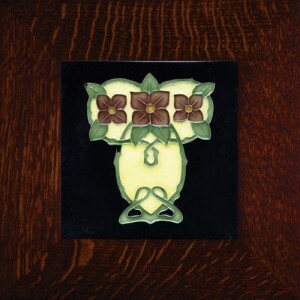 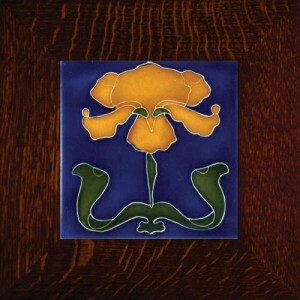 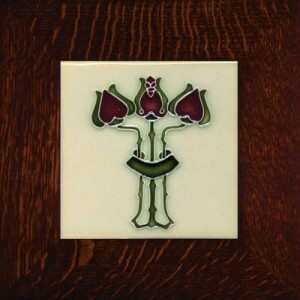 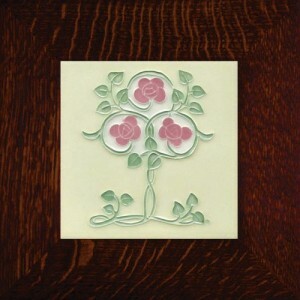 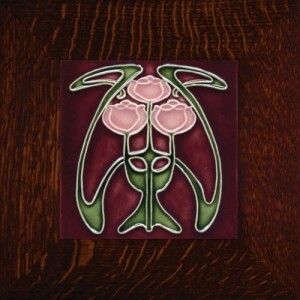 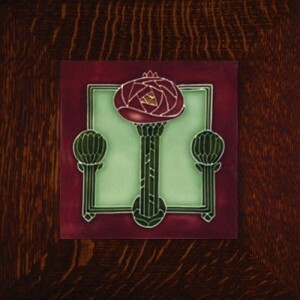 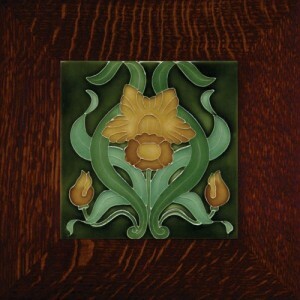 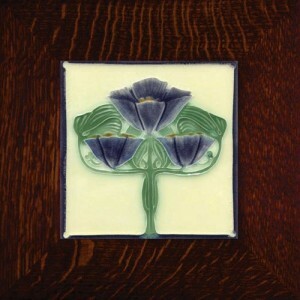 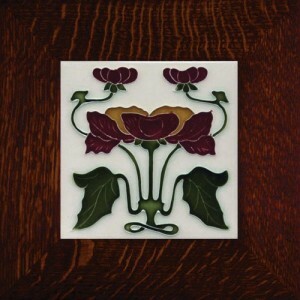 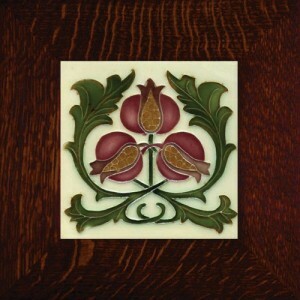 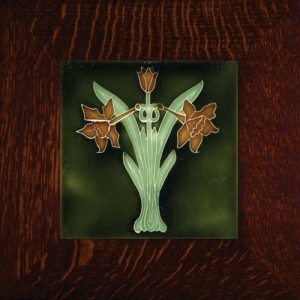 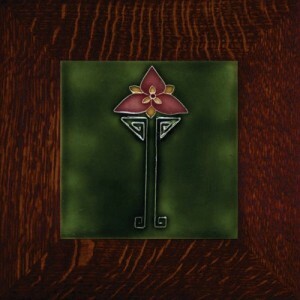 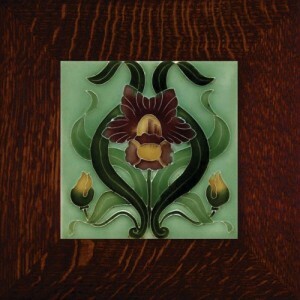 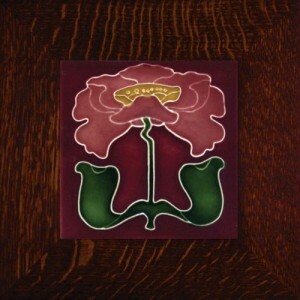 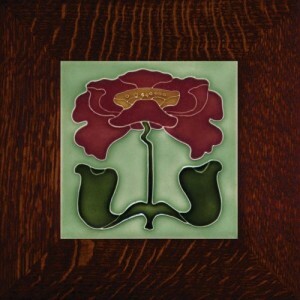 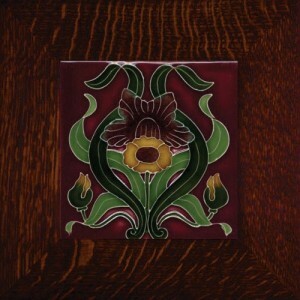 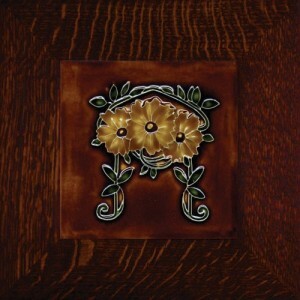 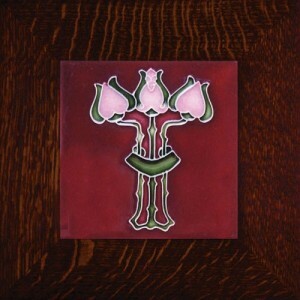 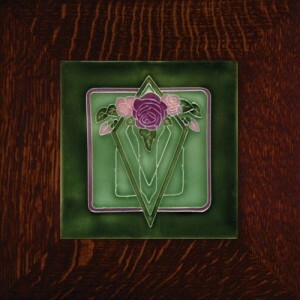 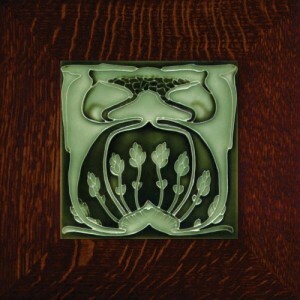 Porteous 35A Tile - "Peony"
Porteous 35B Tile - "Peony"
Porteous 3A Tile - \"Iris\"
Porteous 44C Tile - "Buttercup"
Porteous 4B Tile - \"Wood Hyacinth\"
Porteous 4D Tile - "Wood Hyacinth"
Porteous 51A Tile - "Trumpet Flower"
Porteous 51C Tile - "Trumpet Flower"
These beautiful Porteous tiles are handmade in New Zealand and have design influences from the English Arts & Crafts Movement. 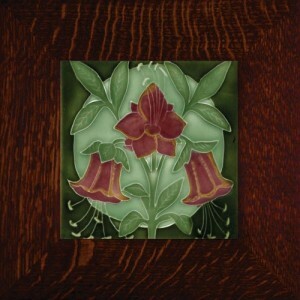 Tiles are 6 inches square with a glossy glaze. 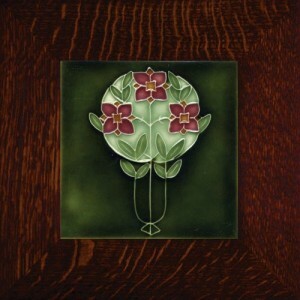 Tile shown is a newly available color, and may be framed in our 2 inch wide Oak Park frame, hand selected from quartersawn white oak and hand finished. 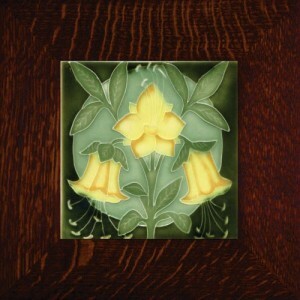 Also available in our Legacy frame. 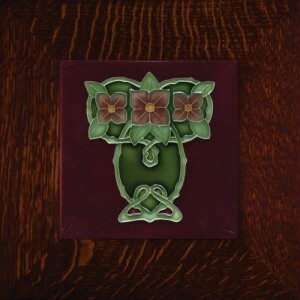 Porteous 52A Tile - "Magnolia"
Porteous 52B Tile - "Magnolia"
Porteous 64B Tile - "Bellflower"
Porteous 64C Tile - "Bellflower"
Porteous 73C Tile - "Pomegranate"
Porteous 82A Tile - "Narcissus"
Porteous 82B Tile - "Narcissus"
Porteous 82C Tile - \"Narcissus\"
Porteous 82D Tile - \"Narcissus\"
Porteous 86A Tile - "Clematis"